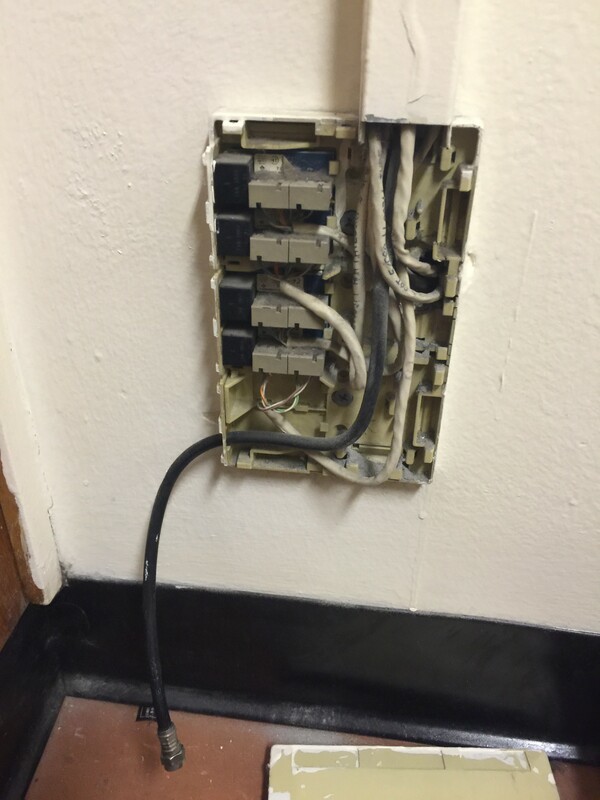 Please follow our instructions to determine if you cable jack is broken. Does it visually look okay? Note: not all cable jacks will look the same. There is one jack per room and you may need to move furniture to locate it. 2. Is the cover missing? Many times the jack is fine even if the cover has fallen off. You may contact TechHelp to have a ticket opened to replace the cover; please note this is a low priority as we repair broken jacks first. 3. Does your jack have the right connections? 4. 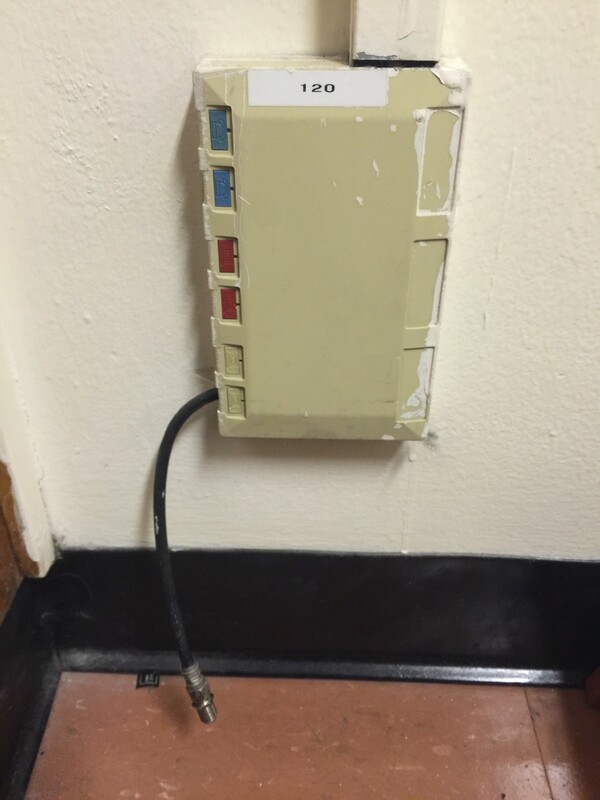 If you jack has the correct connections follow our instructions How to Connect your TV to Cable in the Dorms. If your jack is missing a cable barrel connector, please visit TechHelp in C307A during office hours.